As people age, the risk of suffering from sleep issues can increase. Many medications can cause insomnia or trouble sleeping, and certain health conditions such as arthritis, depression, fibromyalgia, cancer and chronic fatigue syndrome make getting a good night's rest somewhat of a challenge. A lack of sleep can lead to changes in weight, appetite and mood as well as make it harder to concentrate, remember things and function properly throughout the day. It's important for those who provide home care for seniors to recognize signs that a patient is having difficulties with sleep and help them find ways to slumber more peacefully each night. 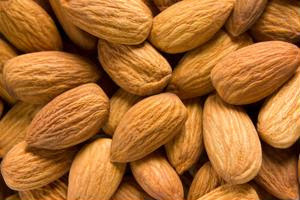 Almonds: These nuts contain magnesium, which is a mineral that helps muscles relax, so people can have an easier time falling asleep. Cherries: The fruit tart juice are both good source of melatonin, which is a sleep hormone. Cheese and crackers: The proteins in cheese provide tryptophan, which triggers the brain to produce melatonin, and the carbs in the crackers help with the process.